Unlike the mouse and keyboard, which can be used with just about any PC or laptop thanks to standards such as USB, the active stylus is typically designed for use only with its intended companion device. 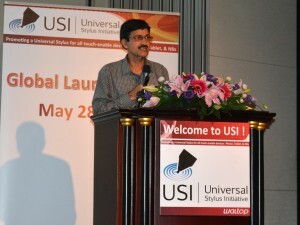 But the Universal Stylus Initiative (USI) organization is penning ways to break the barriers of the proprietary stylus tied to a particular device. In 2014, Intel realized the active stylus marketplace had opportunity to grow while improving end-user experience and driving down costs for manufacturers. At the Intel Developer Forum 2014, Intel met with OEM and touch hardware vendors to create an initiative to bring ubiquity to styluses. 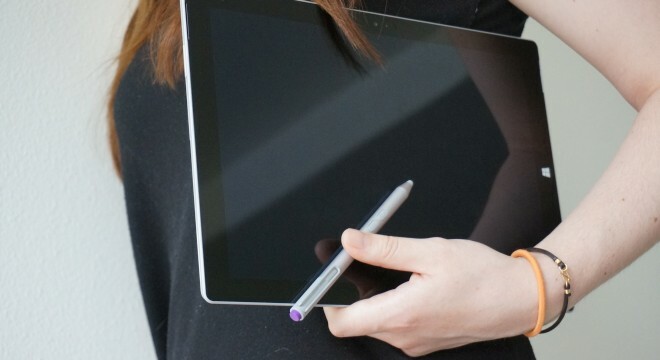 Along with Intel, they formed what is now the Universal Stylus Initiative. Current participants of the initiative include Lenovo, Synaptics, Wacom, Atmel, Pentech, Sharp, Silicon Integrated Systems, Waltop, Dell, EETI, ELAN, FocalTech Systems, Primax, Weida Hi-Tech, Solid Year, with more expected to join. Arvind Kumar, senior principal engineer within Intel’s client computing group (CCG) and technical session chair of USI, speaks at a USI meeting in Taipei, Taiwan. At a recent meeting in Taipei, Taiwan, members of USI agreed upon portions of the 0.3 version of the technical specification, which standardizes features such as a common discovery mechanism and packet formats to communicate inputs like pressure or button presses. Kumar asserts the stylus is gaining traction as an input device. He equates a touch interface to a mouse where users can pick and choose, drag and drop items on a display. A stylus, on the other hand, is more of a keyboard replacement. Kumar believes someday soon you will be able to write your password using a stylus rather than relying on a virtual or physical keyboard. 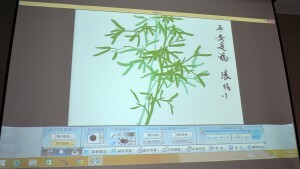 A demonstration of the fine control required for drawings and calligraphy on a digital device. Kumar outlines three areas to create a successful active stylus ecosystem: the experience must be better; there must be universal interoperability; and there must be robust application and operating system support. The active stylus differs from a traditional or passive stylus. Passive styluses are electrically conductive, do not have battery power, and merely act like a fine-tipped finger, while active styluses typically have battery power, may have additional functions tied to buttons, can transmit pressure and other information, and be extremely precise. A collection of both active and passive styluses. End users desire a more ubiquitous approach where an active stylus or pen would work on multiple systems regardless of the manufacturer, says Kumar. 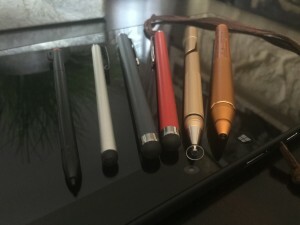 Similarly, there is a desire by the stylus industry for broader penetration, which requires a collaboration and agreement by manufacturers, according to Kumar.